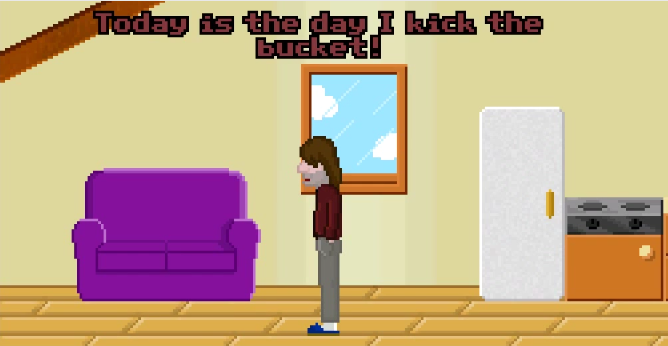 An old-school point-and-click adventure game where the goal is, well, to die. So it’s more of a misadventure game. Our first puzzle game. No story at all: just kill yourself. It won’t be that easy, though. But it will surely be fun. Find out all 18 endings and even play the game in Italian if you feel like it (more languages planned).